Gary was born and raised in Montana. He received a B.S. degree in Business Administration (Accounting) at the University of Montana in 1973, and received his Law degree from Gonzaga University School of Law in 1979. Prior to becoming an attorney, Gary was licensed in Montana as a Certified Public Accountant. Gary has a transactional practice with particular emphasis in estate planning, probate and trust administration, business entity formation and operation, commercial transactions, real estate, agricultural law, and tax and business planning. Gary has been elected a Fellow in the American College of Trust and Estate Counsel (ACTEC), a national organization of approximately 2,600 lawyers elected to membership by demonstrating the highest level of integrity, commitment to the profession, competence and experience as trust and estate counselors. Gary is listed in Best Lawyers in America in the Trust and Estates category and the Corporate Law category. He is also listed in Mountain States Super Lawyers in the Estate Planning and Probate category. Gary has been active in Montana State Bar activities. He has been a member of the Board of Bar Examiners for over 20 years, and is currently serving as Chair. 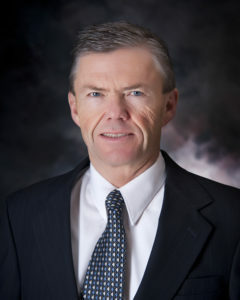 He has been a Trustee of the State Bar of Montana Group Benefits Trust for over 20 years, and is currently serving as Chair. He recently received the Distinguished Service Award and the George L. Bousliman Professionalism Award from the State Bar of Montana for his service to the Group Benefits Trust and the Bar. He is past Chair of what is now known as the Business, Estates, Trusts, Tax and Real Property (BETTR) section of the State Bar of Montana, and is a past President of the Cascade County Bar Association. Gary also remains active in local civic and charitable causes, currently serving on the Board of Directors of the McLaughlin Research Institute, recently having served as Board Chair. When not working, Gary enjoys outdoor recreation in Montana including running, snow and water skiing, tennis and golf.